On October 17 GKH attorneys Jeff Worley and Jolee Van Horn spent an evening with Lancaster’s next generation of professionals. The teens, with the Children Deserve a Chance Foundation, got an after-hours tour of the GKH offices and some real-life advice from Jeff and Jolee. The topic? What it’s like to be an attorney, and how to reach that goal. 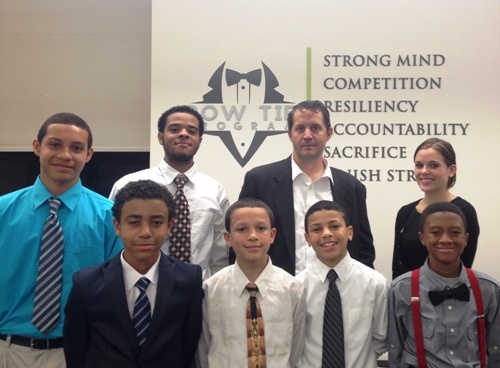 Attorneys Jeff Worley and Jolee Van Horn host a Bow Tie tour for local teens.